Dr. Ron Kikinis is the founding Director of the Surgical Planning Laboratory and the Robert Greenes Distinguished Director of Biomedical Informatics in the Department of Radiology at Brigham and Women’s Hospital, Boston, MA. 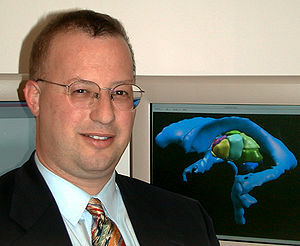 He is also the Professor of Radiology at Harvard Medical School. Furthermore he is Institute Director of Fraunhofer MeVis in Bremen and Professor of Medical Image Computing at the University of Bremen. His research activities include technological research (segmentation, registration, visualization, high performance computing), software system development, and biomedical research in a variety of biomedical specialties.